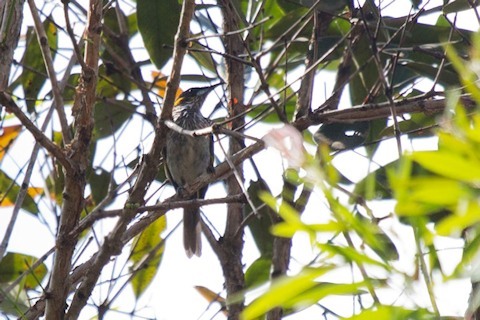 This White-streaked Honeyeater was very shy and would not come out into the open at all. For some time it was heard calling but was not seen. Eventually it appeared briefly before retreating back into the foliage.